Open from December 1st to December 23rd 9 am to 6 pm daily each year. 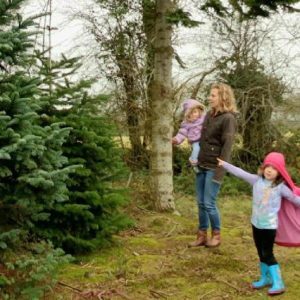 Kellehers Christmas Trees offer you a unique opportunity to come and choose you own tree from our farm. 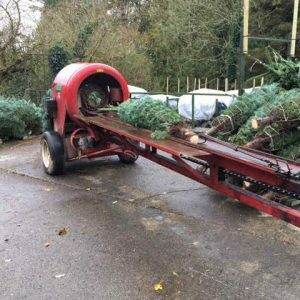 You will be amazed at the quality and variety of trees available to you. Walk at your leisure among the trees and enjoy the views of the West Wicklow hills. 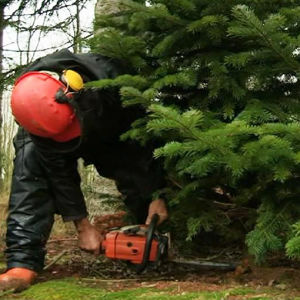 When you have chosen the perfect tree, we will cut it for you, wrap it and help you put it in your car. For directions, click here. 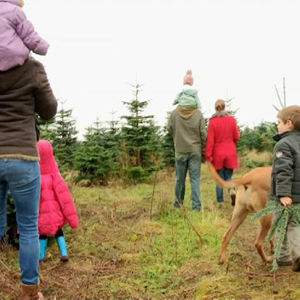 Step by step guide on the process how to buy a real tree from our farm. Step 2: Walk through the forest to find the perfect tree. Step 3: Select and mark your tree in the field. 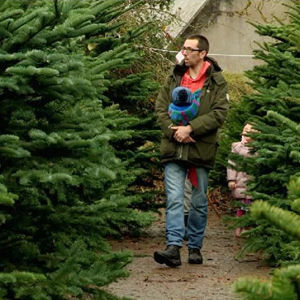 Step 4: The farmer cuts your tree and brings it back to the yard. Step 5: Your tree gets put into a tidy net. 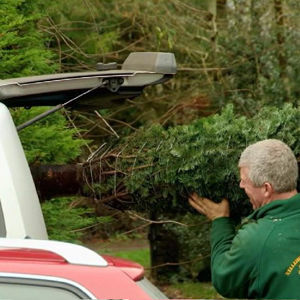 Step 6: We put your wrapped tree into your car for you. 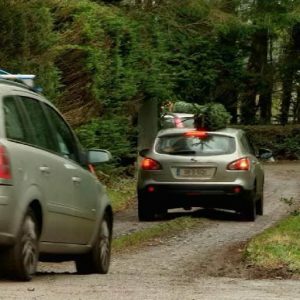 Step 7: You drive home with your beautiful Christmas Tree.